This painting was featured on our PBS “Painting and Travel” series seen on 176 stations across the country. The location was just before the Blue Ridge Parkway in Brevard, North Carolina. 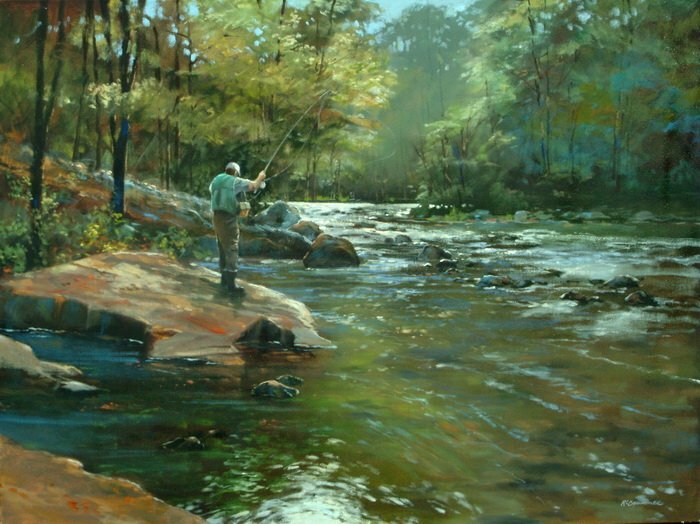 The painting itself was done in several layers putting one color over the other to build up the transparency of the water and background trees and leaves.